Using the WU-1a optional wireless mobile adapter you can now automatically send great images to your smart phone and even use your smart phone to remotely capture images from your DSLR. With an easy to use app, now when you can't wait to share that great shot you don't have to. Share it to your smartphone in a instant. • STEP 3: Share and enjoy! Transferred images can be edited, emailed, texted, or uploaded to a blog or social networking site just like any other image on your Smartphone or tablet! Images captured by the DDSLR, or already saved to a memory card inserted in the DSLRS, can be transferred to a Smartphone or tablet. Let your Smartphone or tablet take control of your DSLR! 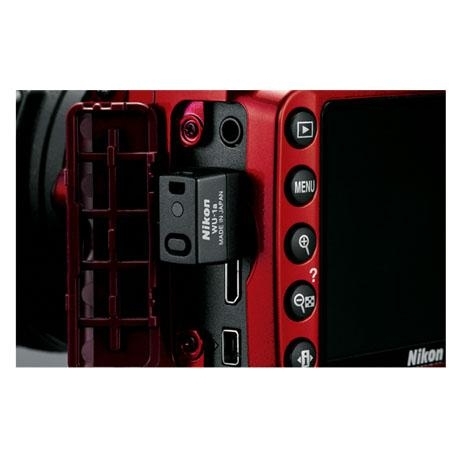 Remotely activate Live View on the DSLR to see from the camera's perspective and even trigger the shutter release from your Smartphone or tablet. Perfect for group shots with you in it! Download the wireless app from the app store on your smartphone. 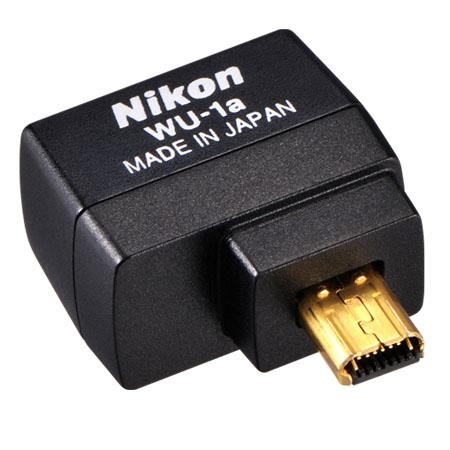 The Nikon WU-1A is commonly used for Everyday, Home, Landscape photography, Macro photography, Portraits, Studio, Travel and more.The Nikon WU-1A is most used by customers who consider themselves to be a Enthusiast, Semi-professional among others.The Nikon WU-1A is popular because customers like the following qualities of the Nikon WU-1A: Easy to use, Lightweight and Reliable.